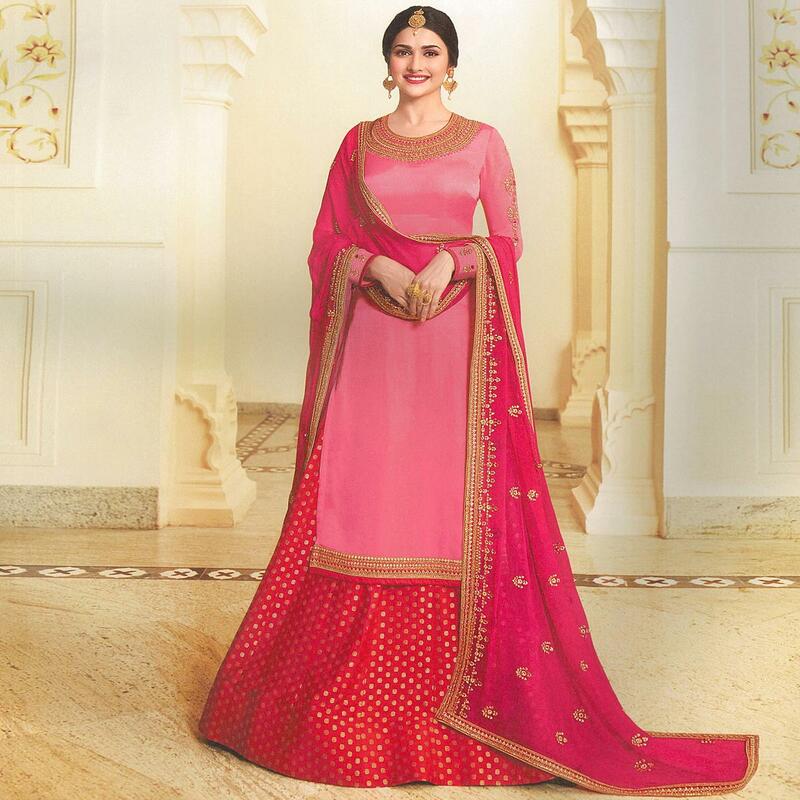 Classy, sensuous and versatile are the perfect words to describe this marvellous pink colored lehenga / palazzo suit, showcased by Prachi Desai. This suit is prettified with lovely embroidered with cuts and patterns which makes it appear classy. The top is made of georgette satin fabric accompanied with unstitched banglori satin bottom, along with chiffon rangoli satin embroidered dupatta. You can flaunt your style by getting this semi-stitched suit stitched into lehenga kameez or a palazzo suit as per your requirement and occasion where you want to be in limelight. Women can buy this suit to wear for their upcoming functions, festivals, wedding functions or engagement ceremonies and occasions. Team it with stylish accessories to make your looks more beautiful.